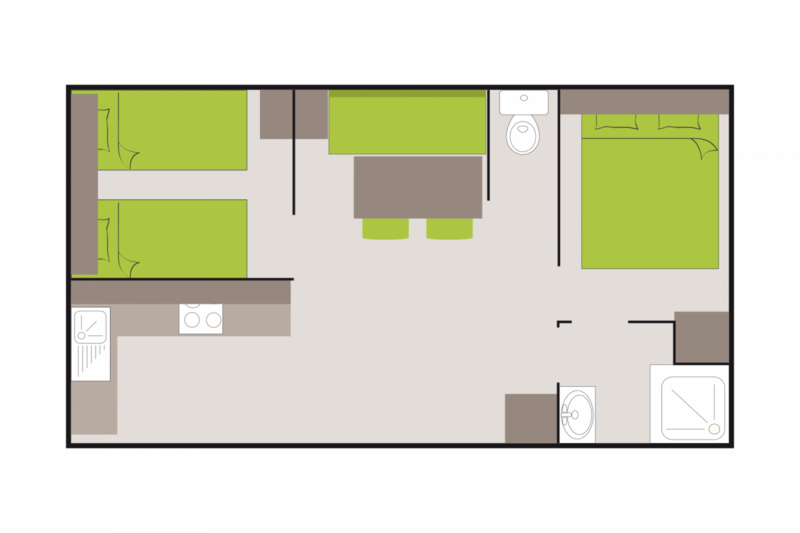 - One bedroom with a double bed (140 x 190). - One bedroom with 2 single beds (80 x 190). - A sofabed in the lounge (140x190). - Equipped kitchen with 4 gas burners, tableware, coffee machine, microwave, fridge-freezer. - Bathroom with shower, washbasin. - Covered, wooden terrace with garden furniture, 1 sunlounger.